Remember a few weeks ago, when I mentioned that I was determined to round out my below-the-belt options with a pair of shorts? Mission complete, thanks to the District Sample Sale on Tuesday! 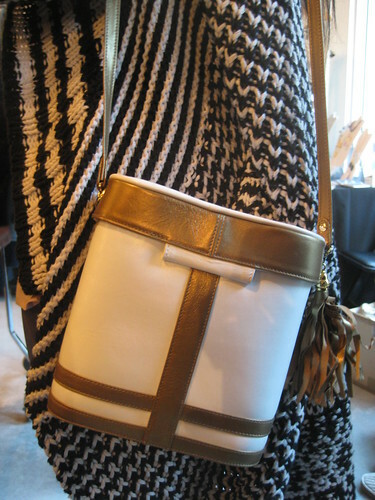 Bisnow happened to snap me just as I stumbled upon my new Loeffler Randall silk-wool-blend lovelies at the Hysteria booth. Minutes later, I scored a skirt for $25 from Sherman Pickey (they always have insane deals at the DSS, I’ve discovered). These shorts have that offhand-dressed-up-thing down, and I can already tell they’re going to change my life, sartorially speaking…. When doubtful of exact location of DSS, look for the line. 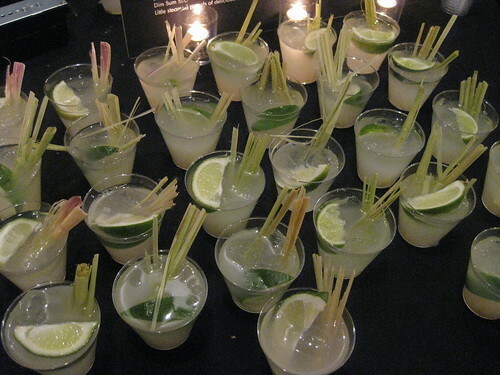 Pretty drinks from Ping Pong Dim Sum. In a recent video for Nowness, produced in partnership with the excellent blog, Advanced Style, Iris Apfel and crew tell us all how it’s done. 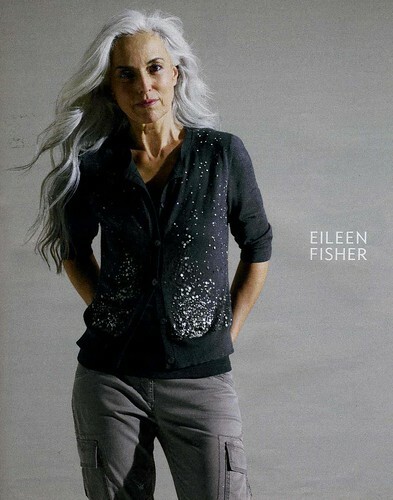 I enjoy looking at and thinking about advertising campaigns as much as I enjoy the editorial contents of a magazine (you won’t hear me complain about seeing too many ads in a fashion magazine); this recent one by Eileen Fisher in the most recent T magazine stopped me in my tracks…the model is so lovely and confidently self-possessed in this picture and it made me really think differently about the brand. Did anyone else read and enjoy the NYT article last fall about middle-aged women and long hair? While I confess to plucking out the few that occasionally crop up on my own twenty-something head, I love these long, silvery strands. It’s so otherwordly and feminine. I just wish it would happen all at once! 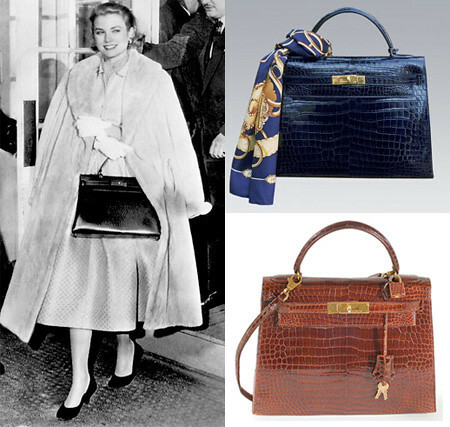 Grace Kelly with the bag that bears her name; get a behind-the-scenes glimpse into the craftsmanship behind these handmade bags this weekend in Tysons Corner, Virginia. The fifth anniversary of The Collection at Chevy Chase this weekend means free spa services, Champagne and cupcakes (when will this menu for fashion events ever change? 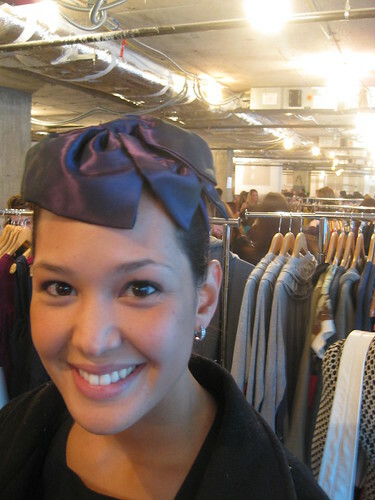 ), fashion presentations and a free concert by US Royalty. 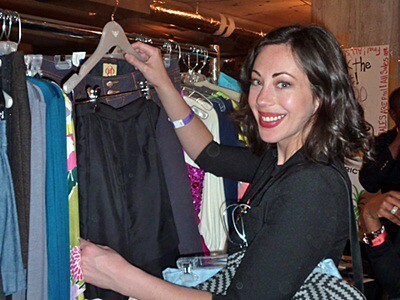 If even freebies at The Collection are too rich for your blood, go to one of many sweet rummage-style shopping events for score new spring clothes. This is the weekend for it, apparently: Hillyer Art Space for their Swap Shop event Saturday, or the bag sale ($15 for all you can stuff!) at It’s All Good in Arlington. And of course there’s the Tossed & Found sale starting Friday in Crystal City and going all weekend (it’s free to enter Saturday and Sunday, when they’ll likely also be doing a bag-sale deal). Nana, formerly along the U-Street-Strip, opens in Mount Pleasant Saturday with expanded merch: children’s clothes, gifts and home decor items. From 4-7, get a free gift with purchase and treats from Pleasant Pops (read: NOT Champagne and cupcakes!). Also on the openings front, we’re hearing that Current Boutique will open in Logan Circle in May at 1809 14th Street. Hermes bags are made by hand, meticulously, by artisans in an atelier just outside of Paris, and many have worked at the family-owned company for decades. It’s a rare thing. Out in Tysons this weekend, there’s something of a once-in-a-lifetime opportunity to see this firsthand: these skilled workers have been flown in for the Festival des Metiers (Festival of Crafts) today through Wednesday from 11-6 out at The Shops at Fairfax Square. Fittingly, there is no web site or flier to share. Go, watch and appreciate the craft that goes behind these amazing wearable pieces that are currently fighting off corporate takeover by the (admittedly, genius capitalists) at LVMH. Local jeweler Sissy Yates got the nod recently from Lucky Magazine. 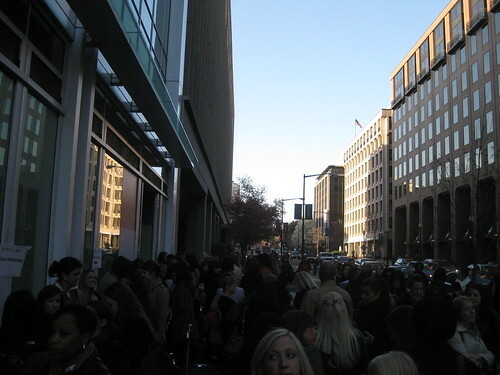 The District Sample Sale next Tuesday will include an “Accessories Pavilion” at the entrance to the event this year. There will be PopChips, 94.7 Fresh FM’s Tommy McFly (I’m still not over The Arrow) and delicious tiny food from Occasions Caterers….oh and jewelry and assorted small things you’ll want to buy from The Dandelion Patch, Fornash and Queen Bee. Next weekend: Trina Turk shopping events/personal appearances. Rumor has it that the designer is thinking of opening a store in the District. Make sure to RSVP to attend; view the event details here. New York Magazine has a tribute slideshow that includes the snapshot above, which makes me want to get a ruffly fifties cotton bra-top and rock it all summer with something sassy and high-waisted. And get away with it. This writeup over at NPR makes me want a signed! first-edition! copy of My Love Affair With Jewelry.